Skin, hair, and nails are by nature consisting of collagen and hyaluronic acid. Collagen is responsible for tight tissue; hyaluronic acid binds water and is essential for a vital, moist, and full skin. If the body is lacking collagen and hyaluronic acid, substance and the skin’s elasticity are suffering as a result. Hair and nails appear brittle; the skin becomes thinner and drier and gets wrinkly. At this point, no matter what age, it makes sense to supply your body with collagen and hyaluronic acid. The best and easiest way to do that is to take in these substances via nutrition frequently. With Perfect Skin by DDr. Heinrich® Beauty Drink the Viennese Doctor DDr. Karl-Georg Heinrich developed a pleasant-tasting beauty drink that includes the optimal dose of collagen and hyaluronic acid. Are you looking for a chilling refreshment and want to care for your skin at the same time? Try Perfect Skin by DDr. Heinrich® Summer Beauty Cocktail. A specially blended mix of peptides and amino acids, and hyaluronic acid. The skin regenerates itself from within, becomes firmer, more vital, and smooth, wrinkles disappear and the skin looks better overall. Even hair and nails benefit. To protect our body from harmful free radicals Perfect Skin by DDr. Heinrich® Beauty Drink has a high content of pure organic juices from selected fruit varieties. Pomegranates are known for their antioxidant effect. Due to the substance resveratrol, which is naturally present in fruits, we can decelerate the natural aging process. Choose between Premium Edition with organic pomegranate juice and Standard Edition with organic orange juice concentrate. Mixed with soda and a few ice cubes the fruity beauty shot turns into a delicious, refreshing summer cocktail with simultaneous skin care effect. If you like to create your taste yourself, Perfect Skin is also available as a powder. Mixed with your favorite drink Perfect Skin gives a freshness kick and makes your skin radiate. Order now in our web shop from the convenience of your own home. Collagen and hyaluronic acid strengthen the skin in a natural way, regardless of whether you are of European, Asian, or African origin. However, kindly do not use hyaluronic acid or collagen as a filler to be injected, but instead prefer the frequent intake via nutrition – this works better and saves you from nodules and an unnatural facial expression, which often result from such injections. Perfect Skin by DDr. Heinrich® Beauty Drink is one way to take in collagen and hyaluronic acid. For several parts of Indiana Jones Harrison Ford has slipped into the role of an adventurous archeologist of the thirties, who has to preserve mostly magic artifacts like the Ark of the Covenant or the Holy Grail from the access by evil-minded Nazi henchmen of the “SS-Ahnenerbe”. As you probably know, “Reichsführer SS” Heinrich Himmler tasked staff of his “Ahnenerbe” to look for magic items and archaeological remains which should give evidence of the “Aryan race’s” supposed superiority. Especially the Holy Grail was wanted by the “Ahnenerbe” thoroughly but without success. In the episode Indiana Jones and the Temple of Doom there are no Nazis for once, but followers of the anthropophagous Indian goddess Kali who have stolen God Shiva’s lingams (temple stones) from the temples of faithful Hindus to abuse them for magic rituals with human sacrifices. Beside lingams Kali’s henchmen also steal children who have to look in mines for further holy stones in compulsory labor. Indiana Jones, who was brought to India, gets asked for help by plagued farmers. Arab and other peoples enjoy eating goat or sheep eyes, because it is said that they have a strengthening effect on vision. 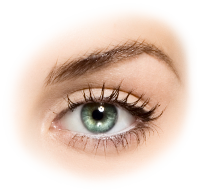 Not surprisingly, in the view to the fact that eyes are consisting of hyaluronic acid to the largest extent. For us eating animals’ eyes is in need of getting used to. Instead you can support your body with hyaluronic acid by the intake of Perfect Skin by DDr. Heinrich® Beauty Drink or Powder and as a consequence render not only your skin, hair, and nails, but also your eyes a great service. Perfect Skin contains a special mixture of collagen peptides and natural hyaluronic acid. Regular intake of these substances, which are the base of most of our body’s tissues, can help achieving a fresh complexion, strong nails, and healthy, full hair. In our beauty drink these precious ingredients are combined with pure organic juices out of high quality fruits, which give the drink its fruity flavor. Pomegranates contain polyphenols and resveratrol – a weapon in the fight against overloading due to free radicals, which protects our cells from premature aging. After breathtaking adventures Indiana Jones of course succeeds in liberating the children and bringing back the holy stones to the lawful owner. He also escapes firmly the mentioned doubtful culinary delights. For us westerner it is good news anyway that we can take natural hyaluronic acid without eating goat or sheep eyes. If you prefer choosing your own taste we also offer Perfect Skin by DDr. Heinrich® Powder to mix it with your favorite drink or soup. It’s also ideal for on the go if you like to take Perfect Skin with you anytime. Perfect Skin by DDr. 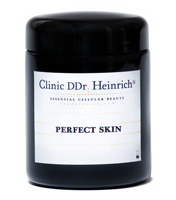 Heinrich® Powder contains – like Perfect Skin by DDr. 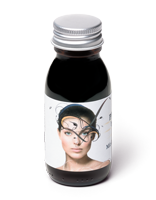 Heinrich® Beauty Drink – a special mixture of amino acids, collagen peptides and hyaluronic acid. These substances are major components of our skin that are important for a healthy appearance and stability of hair and nails. Is Hyaluronic Acid Good for the Eyes? Arabs and other peoples love to eat goat or sheep eyes, which they believe to have a positive effect on the vision. That’s no surprise because eyes consist of hyaluronic acid for the most part. Anyone who has seen Indiana Jones and the Temple of Doom knows how goat eye soup looks ;-). It takes some getting used to. Instead you can take hyaluronic acid in the form of Perfect Skin by DDr. Heinrich® Beauty Drink or Powder and thereby take care not only for your skin, hair, and nails, but also for your eyes. Do You Have Problems with Dry, Pale Skin and Fine Wrinkles? Perfect Skin by DDr. Heinrich® Beauty Drink obviously cannot solve all skin problems, but after a few weeks of daily enjoyment of our beauty shots you will find that your skin just looks much better. Also, nails and hair will get more stable and beautiful when taken regularly. Why Ingest Collagen and Hyaluronic Acid Instead of Injecting Them into the Skin? First, because injection of collagen and hyaluronic acid often leads to unnatural results and nodules, secondly because it hurts and there is a more effective and delicious alternative: Enjoy Perfect Skin by DDr. Heinrich® Beauty Drink daily! The beauty drink contains the optimal amount of collagen and hyaluronic acid needed to give the skin freshness and elasticity – completely painless. Recently a study from Japan proved that the Traditional Chinese Medicine (TCM) approach to ingest food that is rich in hyaluronic acid may indeed cause better and more beautiful skin. This study was conducted by the Department of Dermatology, Toho University, Tokyo, Japan. The study found that hyaluronic acid, extracted from cockscombs, could moisturize dry skin after being taken as nutritional additive. Hyaluronic acid is a major component of many tissues of the body. It has a water binding property and a moisturizing effect on the skin. Intake of hyaluronic acid has time-honored tradition in Asia, where the consumption of food that is rich in hyaluronic acid has been said to make the skin more beautiful and younger-looking for thousands of years. It is a leading principle of Traditional Chinese Medicine to let patients ingest food which contains organic matter they would need to replenish their organs. So ingesting organic matter found naturally in the skin would help replenish the skin. Especially in Japan many dietary supplements and beauty drinks containing hyaluronic acid are distributed to help making the skin more youthful and beautiful nowadays. My experience with satisfied patients in our clinic who have been given hyaluronic acid to repenish the skin have encouraged me to develop our product line Perfect Skin by DDr. Heinrich® containing hyaluronic acid and collagen peptides. The new scientific findings from Japan come as strong encouragements. In Perfect Skin by DDr. Heinrich® you can choose between a beauty drink, blended with high-quality organic pure fruit juice, and powder to create your favorite flavor yourself. The study cited was a randomized, double-blind, placebo-controlled clinical study. It found that ingested hyaluronic acid increased skin moisture and could be successfully used in the treatment of patients with dry skin. It could be shown that ingested hyaluronic acid was absorbed by the body and was partly distributed to the skin. Thus the ingestion of dietary supplements containing hyaluronic acid does indeed make sense to replenish the skin. How to Get Longer Hair in a Natural Way? Do you want to have significantly longer hair? Do you have enough of brittle hair? No problem, just enjoy one bottle of Perfect Skin by DDr. Heinrich® Beauty Drink daily for a few months. It contains precisely the nutrients that your hair needs to grow long and strong! Among others a special blend of collagen peptides and amino acids from natural sources. And for those who prefer to choose their favorite Perfect Skin flavor themselves, there is Perfect Skin by DDr . Heinrich® powder to be mixed with juices or soups to their convenience!